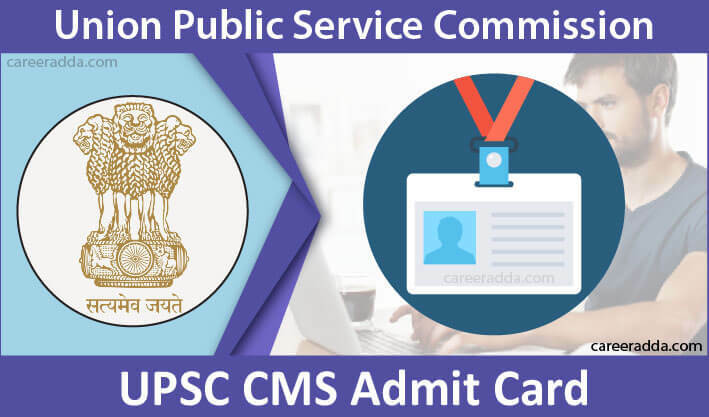 Download UPSC CMS 2019 Admit Card : For those who have applied for the Union Public Service Commission Combined Medical Service Examination [CMSE] for the year 2019, they should know when they can expect the availability of Admit Card for the written test and how to download it. They can expect the e-admit cards to be available on the commission’s website three weeks before the date of the written test. For the question of how to download, they can download the e-admit card using their registration number or roll number and their Date of Birth. Even, if they have forgotten their registration number, they can recover it using the “forget RID” option that they will find in the page to log in for downloading the eAdmit Card for the UPSC CMS 2019 Exam. As far as the release date for the admit card is concerned, similar to other written tests for different recruitment exams conducted by the UPSC, the eAdmit Card will be made available three weeks before the test for the CMS as well. 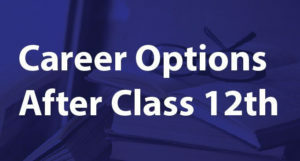 As the CMS for the year 2019 is fixed as the 21st of July 2019 as per the Exam Calendar for the year 2019 published by the UPSC, candidates can expect the admit card to be available either in the first week of July or even in the last week of June 2019 on the official website. Those applied will get a notification about the availability of the admit card to their registered Email. However, for the safer side, it is better to check the website of the UPSC around this date to know the release of admit card. The reason is that the commission will not be responsible if there is a delay in the delivery of Email. Click yes among the options “Yes” or “No” at the bottom of the page. Select Date of Birth from the drop-down menu for date, month and year. If downloaded, print it later without fail. The Admit Card for UPSC CMS will have to the name and registration ID of the applicant. It will also have the photograph and signature, father’s name, date of birth, roll number and age of the applicant. Further, it will have the time at which the applicant will have to report to the test centre on the date of the test. It will have details of the test centre along with the complete address. Further, it will have the test-day instructions to be followed by the admit card holder. The admit card will also have the serial number of the valid photo identity that the candidate has to carry to the test centre without fail. Before downloading the e-admit card, the applicants should carefully investigate the details in the admit card. They should bring any inconsistencies in the card to the attention of the UPSC immediately. When sending any correspondence to the commission in this respect or for any other purpose, the applicant should mention, his/her name, registration ID, serial number and the year of the examination and also the name of the examination. The e-admit card should be shown during the entry by the candidate to the test centre for each session. In addition, they should show the photo identity card, whose serial number is in the e-admit card. As this admit card is essential to be produced in front of the service selection board, the applicant should preserve the e-admit card until the announcement of the final results. The applicant holds the responsibility of the keeping the e-admit letter secured. In case, any other person uses it for entering the test centre, it is the obligation of the applicant to prove that he/she has not served any impersonation. The test taker should not make any changes to the serial code of the test book. If any such things are seen, the paper will not be evaluated. The applicants should enter the test centre at least 30 minutes before the test schedule. For each session, the entry will be closed 10 minutes before the scheduled test time. If an applicant takes the test in any other centre other than the one specified in their admit card, their answer sheet will not be evaluated by the commission. 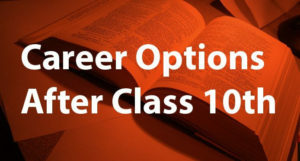 Applicants should read the examination manual before the date of the test that they can find on the UPSC website and also at the test centre outside the exam hall. The candidature for the exam is only provisional. The use of calculators, mobile phones and other communication devices inside the premises of the test is banned. If this instruction is violated, appropriate disciplinary action will be taken by the commission against the applicant. The test takers should give their answers only using a black ballpoint pen. The answer sheets, where other colour pens are used will not be considered for evaluation. The test takers should not bring any valuable items to the exam hall as they cannot get any assurance for the security of these items by the commission. Also, the commission will not be responsible for the loss or damage to such items. If the photo of an applicant is not clear in the admit card, such an applicant will have to carry three passports size photos should be carried along. To the test centre, the applicant will have to carry the e-admit letter. Further, a valid ID proof should be carried. The ID can be the Voter ID Card, passport, driving license or Aadhar Card. For applicants, whose photo is not clear in the e-admit card, they will have to carry three passport size photos.